Roman Mysak was born in 1963; graduated from Lviv Ivan Franko State University in 1985, speciality of applied mathematics, qualification - a mathematician. 1985–1988 took a postgraduate course in Theory of Probability and Applied Statistics at Kyiv State University. After finishing the postgraduate course worked at the Department of Applied Mathematics of the scientific-research division of Lviv State University, holding positions of a junior researcher, a researcher, a senior researcher, an assistant. 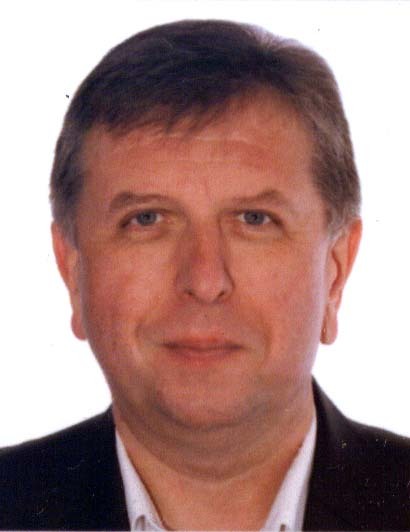 Since 1996 has held a position of the Terminology Laboratory senior researcher of TC STTS in Lviv Polytechnic National University, since 2010 – Scientific Secretary of TC STTS. The author of more than 30 works on theory of minimal estimation, image processing and terminology.